Anemostat’s pioneering efforts to provide air distribution solutions for today’s healthcare, pharmaceutical and clean room facilities began over 50 years ago. 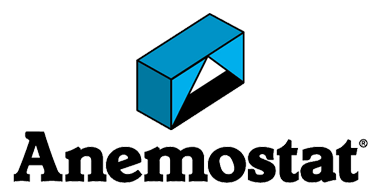 From research and exhaustive laboratory testing, coupled with significant application experience, Anemostat continues to lead the way in providing effective solutions with innovative products designed for specific environmental requirements. Laminar flow panels are used to bathe an area with a clean, continuous shower of filtered air. The laminar flow panel is designed to minimize mixing (non-aspirating), while providing a unidirectional air stream that is perpendicular to a perforated panel. Particle control is achieved by removing the particles from the source, and away from a defined critical area. Laminar flow panels discharge air at a uniform velocity and create an air piston that moves downward. Applications consisting of an array of ceiling laminar flow panels strategically located just over the critical work envelope are often utilized in operating/surgical suites. It is generally accepted that a properly installed and operated system, providing a clean source of supply air, will reduce the incidence of infections due to airborne contaminants. Anemostat Model HCR High Capacity Radial Diffusers now offer HVAC designers a diffuser that combines the best of both conventional horizontal pattern and laminar projection panels into one, while providing easy installation of a diffuser that does not project below the ceiling line. The intrusive radial discharge pattern of the HCR Diffuser provides high efficiency displacement of room particulate and odors with new air in a non-recirculating manner. High ventilation rates are achieved providing for increased occupant comfort. Anemostat manufactures a complete line of VAV air terminals for the HVAC industry. In healthcare applications precise monitoring of airflow is critical. Anemostat uses their patented Velocity Wing Airflow Sensor to accurately measure airflow to as low as minimum 22 CFM. Numerous casing insulation options for healthcare applications are available from Anemostat including; foil laminated fiberglass, Fibre-Lok insulation, dual-wall casing and fiber face insulation. Particles can exist as bacteria (Tuberculosis, Legionnaire’s disease), viruses (chicken pox, measles), pollen, skin flakes, hair, dust, live or dead organisms, lint, etc. Particles may be considered contaminants when they negatively influence a process, procedure, or human/animal physiology. Sources of external microbial contaminants in a space include the supply air to the space or infiltration through room openings from other spaces. These are easily controlled with air filtration and space pressurization. Internal sources include equipment and people. Research indicates that in hospital operating rooms the surgical team and their activities contribute the greatest quantity of contaminants to the space. Considering this continuous stream of contaminants is being shed over and around the operating table, air distribution strategies for these spaces must effectively carry away particles to minimize surgical site infections.